After a few months of pondering and saving we have at last bought a greenhouse! It's been a while waiting (since April) but we took the plunge and ordered one. It arrived at the end of last week and Mr C and I spent Saturday building it. I have chosen a Palram Harmony polycarbonate greenhouse, measuring 6ft by 6ft. It took some time to decide whether to have glass or polycarbonate but eventually we decided that polycarbonate would be the best option for us. On Saturday morning I opened up the boxes, finding the 52 page instruction manual and then realising that there were 458 pieces to put together (this included nuts and bolts!). I'm not going to deny it, I started to feel a quite out of my depth! I'm generally a really practical person and almost get a kick out of building furniture and following step by steps in whatever I do, however this was a little different in terms of scale and size of anything that I've made before. I spent sometime online trying do some research and to find some advice of what to rest the greenhouse on. 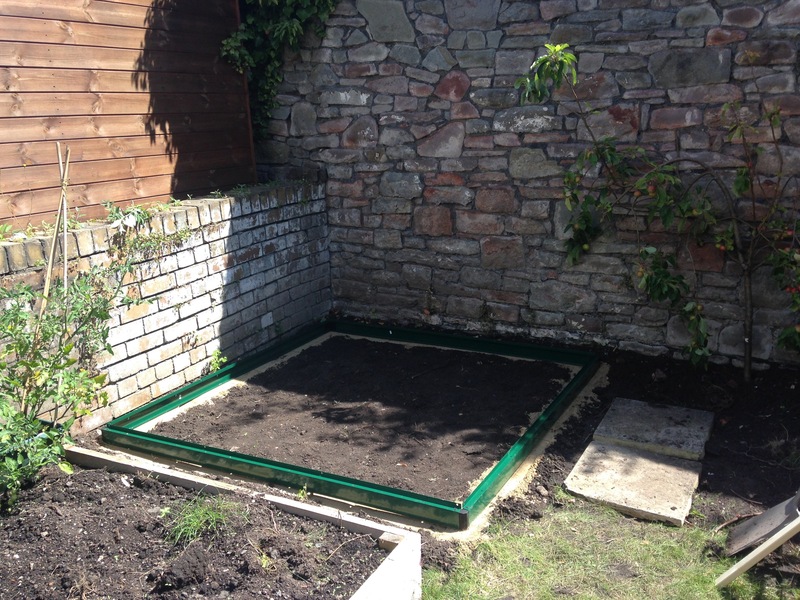 After watching numerous videos from a range of greenhouse manufacturers Mr C and I decided that we would position it straight onto the soil, rather than make a concrete base, and that the frame would rest on a sandy base, creating a level bed for the greenhouse to be placed on. Mr C and I levelled out the site for the greenhouse and constructed the base so that we had a frame to work around. We dug a small trench underneath the frame and added a layer of ballast and then a layer of sharp sand. 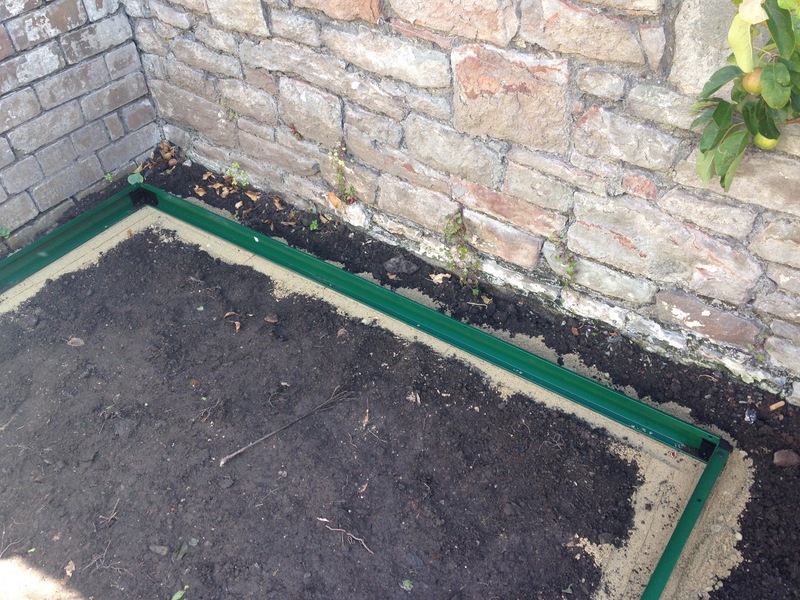 We compacted the sand layer and ensured that the frame was square and level using a spirit level. Piece by piece we followed the instructions to build the frame, slide in the polycarbonate sheets for the windows and roof, fit the window and lastly the door. After 7 hours of building we finally finished it, tired and a bit drained but immensely happy that the project was complete. During the process Mr C and I discovered the joy of team work, and how well we worked together. We managed to keep our cool when some of the pieces weren't fitting and when we misread the pictures in the instruction booklet and had to start again in some areas. It wasn't the easiest thing to build and we did struggle at times, I think that having that experience makes the greenhouse even more special for me. 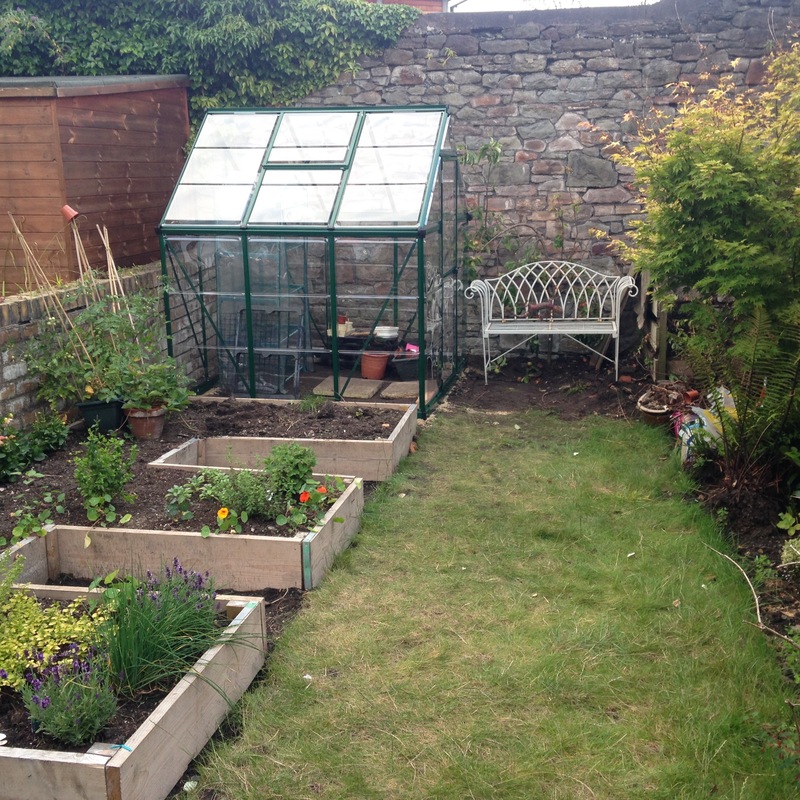 I'm so delighted with our greenhouse and that we managed to build it from two boxes of flat pack pieces, it really did feel at times like a giant large set of Meccano and quite a challenge. The greenhouse has been properly put to test this week with high winds and thrashing rain, luckily we have two walls providing some shelter to the structure so we haven't worried quite as much. I've checked on the greenhouse each day, we don't appear to have any leaks and everything is still standing! It's going to take some research and trial and error gardening to get the hang of growing under cover. I'm pretty excited and at the moment I am trying to decide on the internal layout of the growing space, planning a design for a hand built bespoke potting bench and deciding what to start growing at this time of year. I'll definitely keep you posted on my experience of having a greenhouse in a urban garden and let you know how I get on.